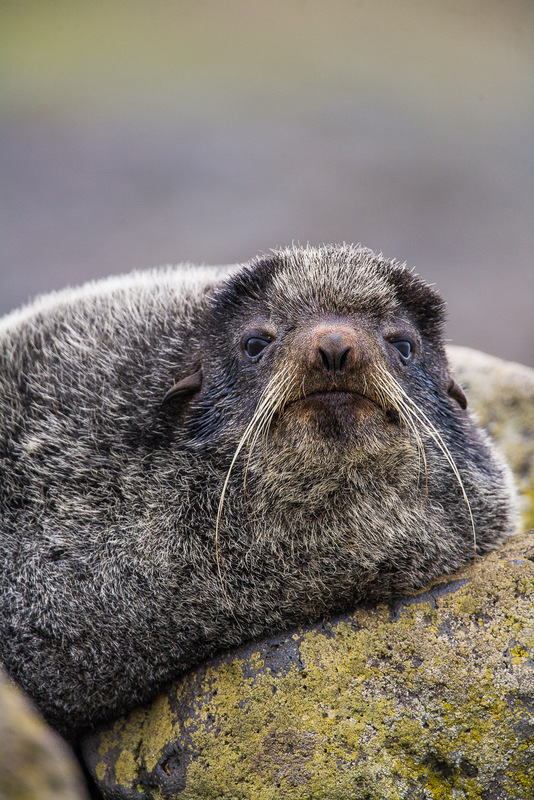 This young fur seal sports an old man's mustache and a young sole. Sits perched like a rock watching the world go by on this lazy summer day. Photo © copyright by Lance B. Carter.